Visceral fat is one of the two main types of body fat. 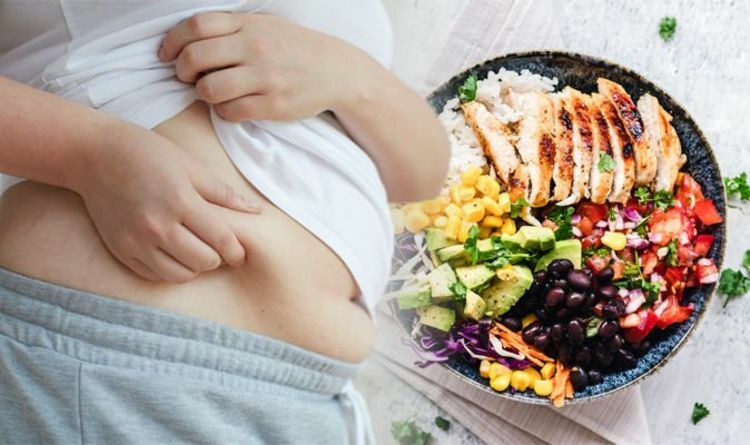 Subcutaneous fat sits under the skin, and for this reason is visible, but visceral fat is stored in the abdominal cavity next to many vital organs, which can present a huge health risk to a person’s health. So what can you do to get rid of it? Eating more protein has been found to be a great long-term strategy for reducing the belly fat. Studies have demonstrated how eating protein can reduce food cravings by 60 per cent, boost metabolism by 80 to 100 calories per day and help you eat up to 441 fewer calories per day. ‘Gluconeogenesis and energy expenditure after a high-protein, carbohydrate-free diet’ is just one paper that demonstrates these findings. Some evidence has also demonstrated how protein is effective working against belly fat. One study, titled ‘Quality protein intakes inversely related with abdominal fat, published in BMC Medicine, showed the amount and quality of protein consumed was inversely related to fat in the belly. This means people who ate more and better protein were found to have less belly fat. So what are the best sources of protein you can include in your diet? The British Nutrition Foundation lists meat, fish, seafood, eggs and fairy as good meat sources of protein. Exercise has also been found to be an effective way to reduce visceral fat. But while many may assume abdominal exercises are effective at getting rid of visceral fat, research suggests you should avoid these. Spot reduction, which is a term used for losing fat in one spot, is not possible, so doing endless amounts of ab exercises will to make you lose fat from the belly. One study titled ‘The effect of abdominal exercise on abdominal fat’ demonstrated that six weeks of training just the abdominal muscles had no measurable effect on waist circumference or the amount of fat in the abdominal cavity. The most effective exercise for getting rid of visceral fat is believed to be aerobic exercise, like walking, running and swimming.